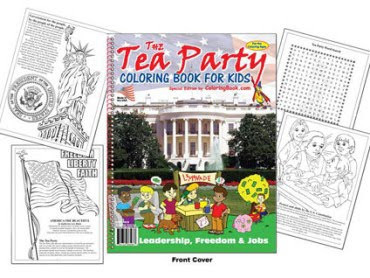 Fans of the Tea Party movement now have their own colouring book. Passages include, "When taxes are too high, the high tax takes away jobs and freedom. In 1773 we had a Tea Party and this led to freedom from high taxes. Today we are having another Tea Party and this will lead to freedom from high taxes again!" 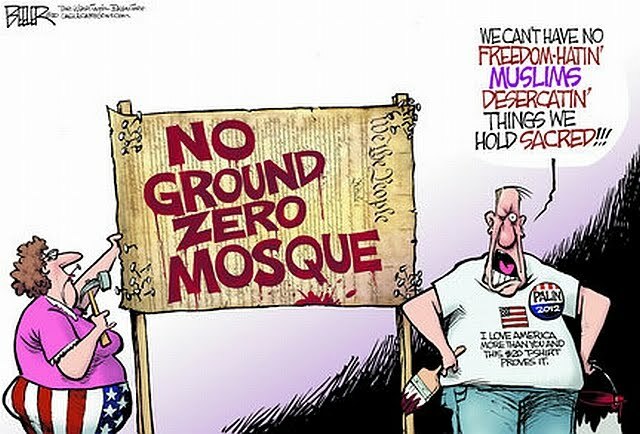 The publishers deny that they are trying to make a political statement, as they also publish an Obama colouring book and many other topics. What other subjects do you think deserve the colouring in treatment? Why Miliband had to go. There is some good analysis here of why David Milliband decided he should leave frontbench politics - mainly because he felt he would be put under unbearable scrutiny from the media about any perceived differences between him and his brother. You can see his interview with Nick Robinson on the day of his departure in the video above. For an alternative point of view, here is an animated version of the Miliband's rivalry, courtesy of Newsnight and Taiwan's "Apple Daily". 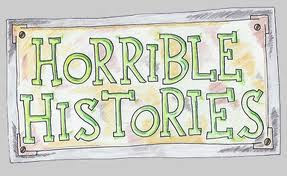 Some members of Year 13 suggested a recent episode of Horrible Histories as it includes the religious swingometer! The Horrible Histories are great for finding out gory and fun facts from lots of different periods of history and it now has a good website with games. The episodes are all on BBC iplayer. The swingometer swings into action 22.02 minutes into Episode 11. 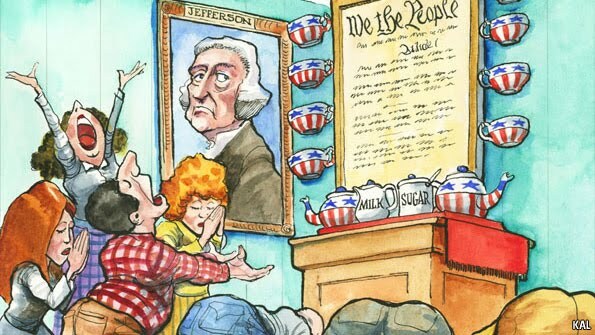 In this week's Economist there is a fascinating article about the USA's obsession with their constitution. The tea-party movement is the latest group to hijack their own understanding of what the constitution means for their own ends. Lexington provokes a passionate debate on the Economist's blog by statements such as 'there is something infantile in the belief of the constitution-worshippers that the complex political arguments of today can be settled by simple fidelity to a document written in the 18th century'. This is proof, if needed, of history's ever-present relevance to today's political debate. Black History Month will take place this October, giving the chance to consider the achievements of important black figures in History such as Martin Luther King and Mary Seacole. There are plenty of resources available and it is even commemmorated in websites such as this one (from BBC 1Xtra...) However there is concern in some areas that celebrating the achievements of one minority may exaggerate the achievements of particular individuals, warp their importance within the overall context, or make other minorities feel marginalised. This Radio 4 programme, presented by Josie D'Arby, sets out to explore these issues further, and you can catch it here until Friday. What is your opinion on this? 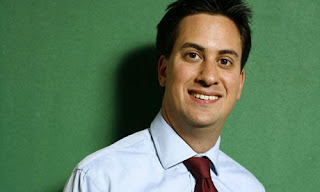 Ed Miliband is the new Labour leader, narrowly beating his brother David to the post in a closely fought election. 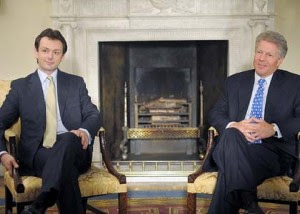 Looking at the statistics, David was in the lead in the first three rounds, but Ed was able to benefit more greatly from Ed Balls' elimination, taking sufficient second preferences to ensure him a majority. What do you think about this? How will it affect the party and its fortunes in the next election? Please let us know. The Nonsuch Amnesty Society considered the case of Theresa Lewis on Thursday. 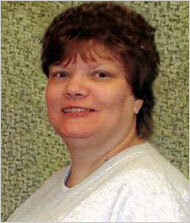 Lewis was was executed by the state of Virginia 12 hours later as no clemency was granted by her last remaining hope, Governor Bob McDonnell. Lewis' crime was the planning of the murder of her husband and stepson with the crimes carried out by her 22 year old boyfriend and his friend. Both killers received life sentences whilst Lewis received the death penalty. She was the first women executed by Virginia since 1912. For an interesting take on the execution see the state's largest newspaper's reporting of the story here and compare it with the British perspective here. The Republicans in the House are trying to replicate the success they had in 1994 with a new 'Pledge to America'. 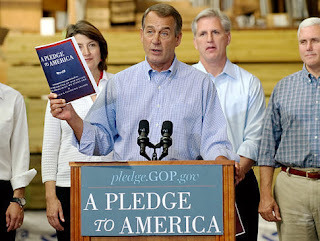 Then, they put forward a 'Contract with America' which proposed new legislation in a short time period. Many Republicans credit this document with their winning back Congress in 1994. They hope for a similar success in November ie winning back Congress from the Democrats. This is much more likely in the House than in the Senate, where only a third of members are up for election. See here for more information and some of the conservative measures advocated such as a ban on federal funding for abortion. 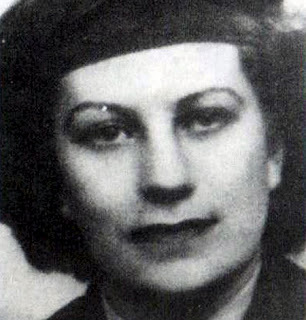 Eileen Nearne, an 89 year old lady from Devon, never discussed what she did in the war, but after her death last week it was discovered that she had been a spy for the Special Operations Executive, assisting the French resistance. Aged 23 she was dropped into occupied France and worked as a courier and wireless operator. She was captured and 3 times by the Nazis but managed to escape every time. She was eventually sent to a concentration camp in Germany. On several occasions she was tortured but never revealed the names of her fellow agents. Asked how she coped in such a distressing situation she said, "You should not let yourself go. It seemed that the end would never come, but I have always believed in destiny and I had a hope. If you are a person who is drowning, you put all your efforts into trying to swim." You can read more about her fascinating story here. Another interesting Tony Blair drama on BBC2 on Saturday night (on iplayer) starring Michael Sheen, this time on the 'special relationship'. This is the name Britain tends to give to the relationship between the United States and Britain. From the US's point of view, this name is a little optimistic, considering Britain's competition - Mexico and Canada to name but a few. However, it is a subject that both historians and journalists find fascinating. It is a very interesting relationship; made only more so by the recent personal relationships between Blair and Clinton (the programme's subjects) and Blair and Bush. The programme is excellent to give you an overview of the issues that involved the US and the UK at the end of the 1990s, especially Kosovo. Peter Riddell, the Times journalist and author, has also written an excellent book which is very readable and informative on this topic. What do you think the relationship is between Obama and Cameron? Is the relationship between the US and UK 'special'? The official history of MI6, the Secret Intelligence Service, has been published this week. Professor Keith Jeffery was given permission to investigate the archives from 1904-1949, examining MI6's actions in both World Wars and other conflicts, including the Russian Civil War. Jeffery investigates well known actions such as the Bletchley Park code-breaking operation in World War 2 and MI6's support of agents in the French Resistance. He also reveals that the Service helped to prevent a Communist revolution in Brazil in 1935, and employed a Lieutenant Augustus Agar in Russia during the Communist Revolution; he was meant to only support Russian agents, but got rather carried away and sank four Communist warships, which quickly blew his cover. MI6 agents never had a "licence to kill" but they did have plenty of secret gadgets, such as a camera hidden in a matchbox, a pen that squirted tear gas, and a shaving brush with a secret compartment. These would provide inspiration for one MI6 officer, Ian Fleming, when he turned his hand to writing books about a fictional agent - James Bond. More information can be found in this Guardian article and Channel 4 News Report (shown above), which includes comments from Sir John Scarlett, Head of MI6 (or "C") till last year. Channel 4 also recently had a fascinating interview with John Le Carre, the spy author who worked for MI6 until he was betrayed by the double agent, Kim Philby. PS: Here is MI6's official website, where you can learn about their history and apply for a job! Pope Benedict's visit has certainly generated plenty of reaction over the last 4 days and has dominated the news schedules. The BBC showed a helpful summary programme last night examining the significance of the visit, with contributions from Lord Patten and the historian Diarmaid MacCulloch, amongst others. Pope Benedict's speech in Westminster Hall, where Thomas More and Guy Fawkes had both been put on trial, was considered to be particularly significant, and it was a nice touch for him and the Archbishop of Canterbury to publicly pay their respects at the tomb of (Saint) Edward the Confessor in Westminster Abbey. Further reactions can be seen in this BBC article, including comments from the British Humanist Association and the National Secular Society. It will be interesting to see if the visit will have make a significant contribution to the debate of the role of religion and politics and society, particularly in the light of the comments of Baroness Warsi this week who said that the Coalition "does God". Today is the 70th anniversary of the sinking of the SS City of Benares during the Second World War. Like many other allied ships that sank, it had been torpedoed by a U-Boat. What was significant about this particular ship was that it was carrying 100 evacuees from Liverpool to start a new life in Canada and be protected from danger. 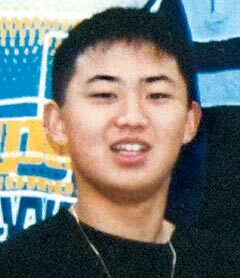 87 children and 175 adults died in the incident. Some drowned and others were found dead from exposure in the lifeboats. The tragedy ended the official policy of overseas evacuation, although 170,000 children were taken overseas at some point during the war. You can read more about the sinking, including the memories of Sonia and Derek Bech who survived, in this BBC article, and hear from another survivor, Derek Capel, in this radio clip. The Pope is in Britain on what is the first state visit by the Pope since the Reformation. Yesterday he arrived in Edinburgh and is in London today. This visit, less like that of 1982 (not a 'state' visit), is highly controversial. Several developments have made it so - the child abuse scandal within the Catholic church, new technological developments such as stem cell research which have divided religious opinion, social developments such as civil partnerships and of course the fact that it is a 'state' visit rather than a pastoral one. The latter is down to Gordon Brown, who lobbied hard for the Pope to come to Britain to appeal to Catholic voters. What do you think? Should the Pope be here on a state visit? What do you want to hear from him? 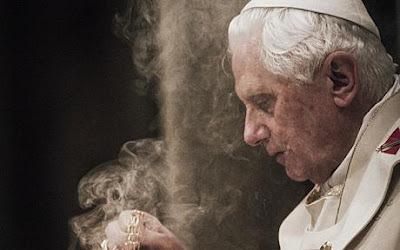 What is your view of Pope Benedict XVI? There are a variety of differing opinions in the press. Here is an article about Stephen Fry and Terry Pratchett's atheist view and here their letter to the Guardian with some other letters. Here is the defence of the Pope by the Belfast Telegraph and here the BBC coverage of his visit. There have also been several interesting programmes on both BBC2 and Channel 4. 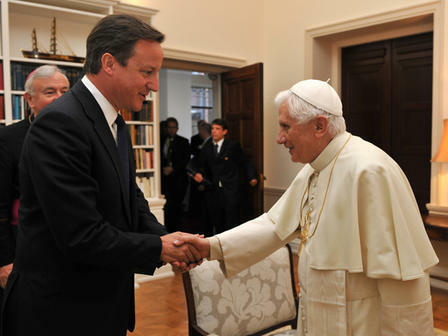 Pope Benedict XVI arrives in Britain today - the first ever Papal state visit. You can find plenty of coverage of here and here. There has only be one Pope, however, who actually came from Britain. 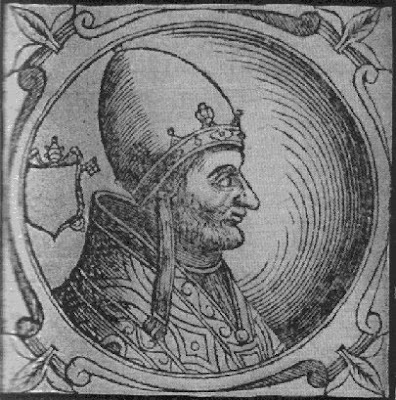 He was Pope Adrian IV (c1100-1159), who was born in Hertfordshire as Nicholas Breakspeare. He was initially refused admission to join a monastery but eventually joined an abbey in France and worked his way to the top, becoming Pope in 1154. His time as Pope was marked by a power struggle with the Holy Roman Emperor, Frederick I, and a close relationship with English King Henry II. It is possible that he suggested that Henry should invade Ireland in order to bring it under papal control. Traditionally he died in 1159 after choking on a fly in his wine, but is more likely to have been tonsilitis! Total Politics Magazine has recently published the lists of the top 100 Left and Right wing blogs, as chosen by a poll of its readers. 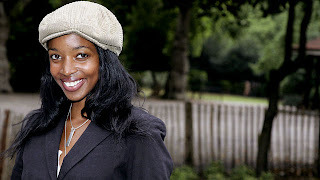 You may find them of interest but be warned, opinions on the blogosphere should be treated very carefully, as the furore over allegations about William Hague have demonstrated. We were very lucky on the Parliament trip yesterday to watch the House of Commons in action rather than simply visit an empty chamber. 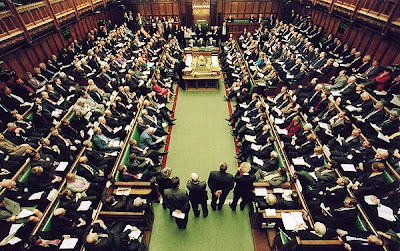 Having witnessed the official procession to the Commons in which the Speaker, John Bercow, was accompanied by the Serjeant-at-Arms carrying her sword and the Parliamentary Mace, we were then able to watch several minutes of questions to the Foreign Secretary, William Hague. The chamber was well attended, and David Milliband, Menzies Campbell and Chris Skidmore (Historian and Nonsuch visitor) could all be spotted. For a record of what was said that afternoon, here is the transcript from Hansard, the relevant TV coverage, and Simon Hoggart's sketch for the Guardian. Mr Lewis: May I ask the Foreign Secretary a very specific question? We have already seen £560,000 removed from the Foreign Office human rights and democracy budget this year, and not in terms of future spending review decisions. Can the Foreign Secretary assure the House that there will be no further reduction in funding for that part of the Foreign Office budget this year? Mr Hague: One would not think that the hon. Gentleman had been a member of a Government who reduced funding for human rights and democracy projects in Iran, Sudan, Zambia, Russia and central Asia, all in the course of the last year. There have been no U-turns on any of those subjects. I do not think that having to correct what appears in The Guardian now and again constitutes a U-turn brought about by the Opposition. As for future spending commitments, they will of course be set out in the future, once we have the results of the comprehensive spending review. 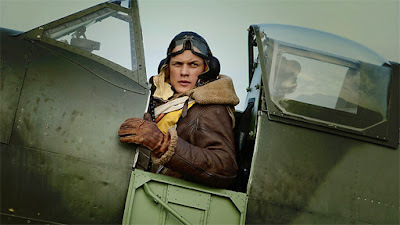 BBC2 showed "First Light" last night, an excellent recreation of what is was like to have been a Spitfire pilot in the Battle of Britain, based on the memoirs of Geoffrey Wellum, who, aged 18 at the time, was one of the youngest pilots in the RAF. If you missed it, catch it on iPlayer. You can also read here how the producers worked hard to make the programme look and sound authentic. It was certainly fascinating to have the film introduced and narrated by Wellum, now aged 89, and was full of personal details that broke through the usual stereotypes. PS: The BBC's detailed Battle of Britain site is also worth a look, with archive footage and clips from past programmes. Other programmes to be shown in the season can be found here. 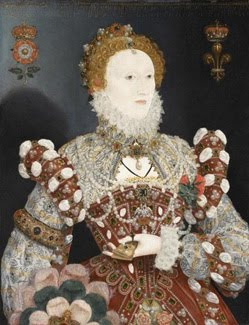 The Year 12s who visited the National Portrait Gallery yesterday will have seen two famous portraits of Elizabeth I which are rarely seen together. 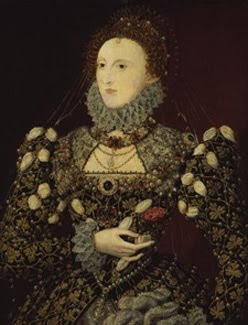 The Pelican (top picture) and Phoenix (bottom) portraits, painted in the 1570s when Elizabeth was in her 40s, have recently been proven to have been painted on wooden panels taken from the same trees, and so are most likely to have been painted by the same artist, Nicholas Hilliard. You can read more about how the paintings were researched here, but you only have till the end of the week if you want to see them together! PS: Here are further details from the National Portrait Gallery and comments from Channel 4 News. During the Year 12 visit to Portcullis House yesterday, we noticed a series of photographs taken by Simon Roberts, the "official photographer" of the election. He travelled round the country photographing as many different candidates and consitutencies as possible. Often he has stood back from his subjects, capturing the scene and interesting background details. 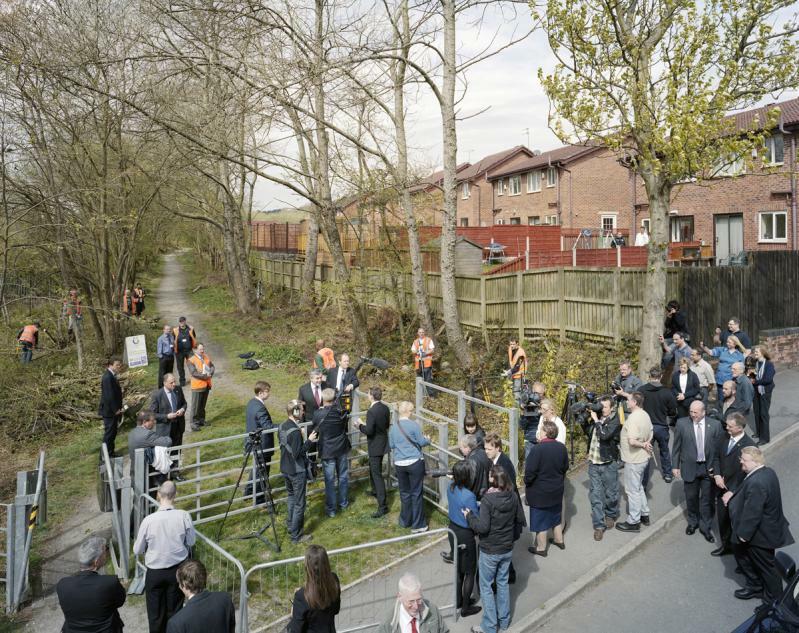 The photograph above, for example, of Gordon Brown in Rochdale, includes a few workers felling trees in the background while the Prime Minister makes his statement to the press. You can see more at Roberts' website and in this BBC slideshow. Roberts also asked the public to submit their own photos of the campaign, and you can see these here. Portcullis House, like many other public buildings, will be open to the public on 18-19 September as part of the Open House Weekend (free admission!). 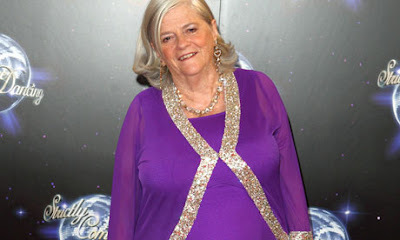 As you probably know, Anne Widdecombe (who visited Nonsuch two years ago) is a contestant on Strictly Come Dancing this year. We of course wish her all the best, and the BBC is hoping that she can repeat the success of John Sergeant, who lasted 10 weeks despite little obvious dancing talent. A more serious issue is how her appearance continues to blur the line in the public mind between politicians and celebrity. This Guardian article examines this further, also considering the infamous appearance of George Galloway on Celebrity Big Brother, and Lembit Opik's regular TV appearances (Lembit will be speaking at Nonsuch next month). 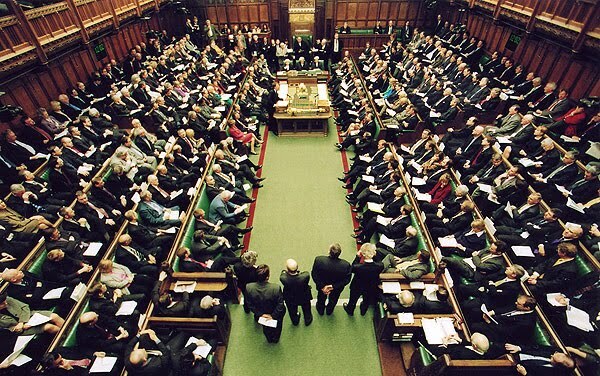 Are you happy with this, or should politicians stick to their day jobs? PS: This Telegraph article marks the passing of Big Brother, considering its significance and how our attitudes to celebrity and surveillance have changed while its been on. 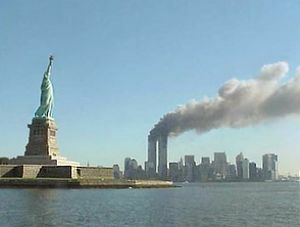 Channel 4's programme 9/11: State of Emergency was an appropriate reminder of just how devastating the attacks were on 9/11 to the USA's feeling of security at the top level and the personal tragedies and survival for those ordinary people caught up in what was the USA's worst terrorist attack. Watch it on Channel 4 OD. Particularly revealing are Condoleezza Rice's comments. As National Security Adviser she was crucial to the response and her interview is fascinating for the processes put into action (Cold War links here abound) and the chaos that was unleashed at the heart of the world's most powerful government. If you watch it, please add your own comments. "Anniversaries are newspaper and television events. And they can have an eerie habit of coalescing together to create an unhappy memorial framework. Thus do we commemorate the Battle of Britain – a chivalric episode in our history – and the Blitz, a progenitor of mass murder, to be sure, but a symbol of innocent courage – as we remember the start of a war that has torn our morality apart, turned our politicians into war criminals, our soldiers into killers and our ruthless enemies into heroes of the anti-Western cause." 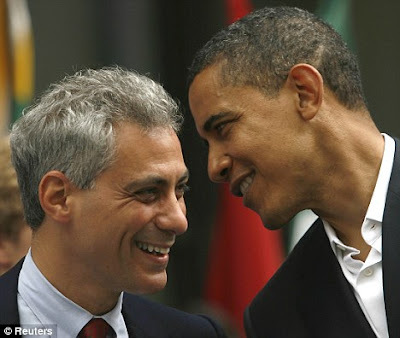 Is Rahm Emanuel leaving his post? There are rumours that Rahm Emanuel, Obama's Chief of Staff, will leave his job in order to run for Mayor of Chicago. Richard Daley, the current mayor, is stepping down. The chief of staff role is a crucial one and Emanuel has been criticised for being too abrasive. The mid-term result may well mean that the Obama administration will have to work more closely with the Republicans so a different chief of staff may help. Here is the comment on it from the Telegraph, here Emanuel's background, and here is an overview of this important role. If he does resign, look out for assessments of his role so far. What do you think? 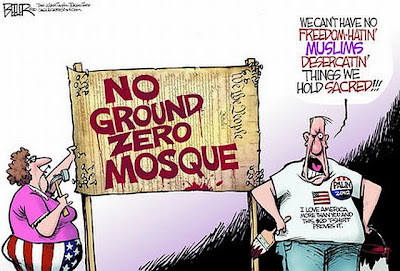 Is this bringing out latent islamophobia in America or should there be an islamic symbol so close to the place where those of that faith killed over 3,000 people? Fans of Mary Tudor may be pleased to know that Channel 5's programme "Bloody Mary - The Most Evil Women in History" is now available on the internet (apologies for the advert that appears at the beginning). The title gives away its intent to cast Mary in a bad light, and the narrators' script is particularly poor, but it does contain commentary from the Tudor Historians David Loades, Steven Gunn, Diarmaid MacCulloch and John Cooper. Loades in particular is playing up for the cameras but it does help you to become familiar with them and their points of view. PPPS: Here is a bibliography of Tudor historians that A2 students in particular may find useful. "Blitz Spirit" is often referred to when considering the need to pull together during a difficult situation, but did it really exist? 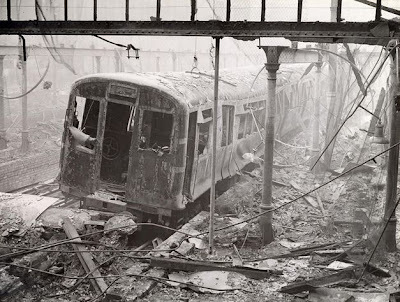 This BBC article considers how the population coped with the German bombing campaign in 1940/41, noting that while the effects of the Blitz in London and Coventry was well known, others areas felt that their troubles were being ignored. Hull for example suffered 85% damage but was usually referred to in the press as a "North East town". Furthermore, as the working classes often lived closer to their place of work, such as factories and docks, their housing was much more likely to be affected by bombing. Whatever the reality, the perception of how British people coped is now widely evoked by politicians and media alike. There is also an interesting comparison with German attitudes to their own bombing, where the massive scale of death and destruction makes it impossible to look back with any sense of nostalgia. This is worth remembering when reading articles whipping up a frenzy about supposed German criticisms of the new Bomber Command statue that will soon be unveiled in London. PS: Here is an article by Correlli Barnet on the subject, and a blogger's response. 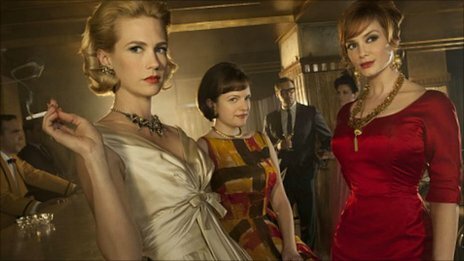 Here is a BBC article about how "Mad Men" - the drama about the staff of an advertising company during the 60s - covers the decade. Each season covers a different year, so season 4 is about 1964. Key events such as the Cuban Missile Crisis and Kennedy assassination are referred to, and affect the storyline but unlike in Forrest Gump, where our hero is right at the forefront of these events, their position is more oblique. The programme is more interested in the steady changes in culture and society and how these affect the roles of the characters, particularly the women. Have you been watching the programme? Does it do its History well? Let us know your thoughts as the series progresses. 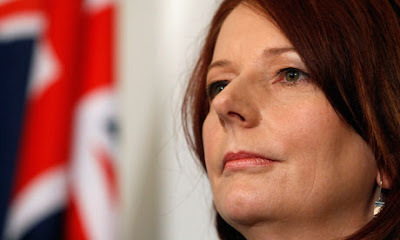 After a tightly fought election which led to a stalemate, and long drawn out negotiations, Julia Gillard from the Australian Labor Party formed a minority government today, retaining her post as Prime Minister. She has won the backing of 2 independent MPs, but her position will clearly remain precarious throughout the 3 year term, particularly as she only became PM after ousting her predecessor Kevin Rudd in a party coup. Here is more coverage from the Sydney Morning Herald, here is information about how the electoral system works, and here is an excellent blog from Nick Bryant's, the BBC's Sydney correspondent. 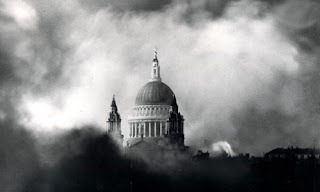 Today is the 70th anniversary of the beginning of the Blitz - the German luftwaffe's campaign to bomb Britain into submission. The start focused on London and lasted for 76 consecutive nights. See the Guardian for an interesting article and a great interactive map showing where the bombs fell on the first night. 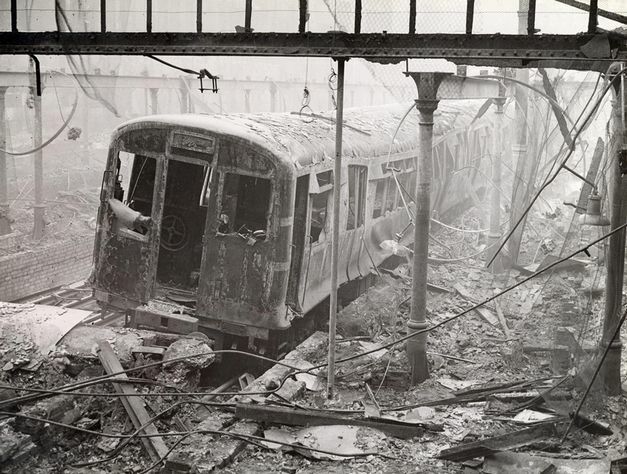 See also the BBC History site where there are clips of interviews with those who remember the onslaught. A great deal of news and comment over the summer holidays to catch up on. From Obama's trials with Glenn Beck and Sarah Palin to the Labour party leadership battle in Politics to celebrations of the 70th anniversary of the Battle of Britain and Tony Blair's new autobiography in History - there is never a dull moment! In the coming weeks look out for trouble at the party conferences in the UK and/or the papal visit and the build-up to the mid-term elections in the USA.